As a Google Voice user, one thing that has always peeved me is that if I were to change my GV number, I would lose the old one after 90 days. Past that, if anyone tries to call or text the old number, it's lost into oblivion, never to be seen again (until someone else gets it). Google has taken note of this vexing problem and addressed it accordingly. Now, when you choose to change or port your number, you can keep your existing number for a one-time fee of $20. 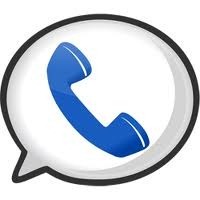 This means that calls or texts that are sent to the old number will still come through. But, it is worth noting that when you call or text someone, your new primary number will display on the caller ID. This may be a plus or a minus, depending on how you look at it. To keep your old number on a permanent basis after getting a new number or porting your mobile number to Google Voice, all you have to do is log in to your Voice account, hit the Settings tab, and click "make permanent" next to the number that you want to keep. You'll be charged at that time, and your old number is yours to keep forever.